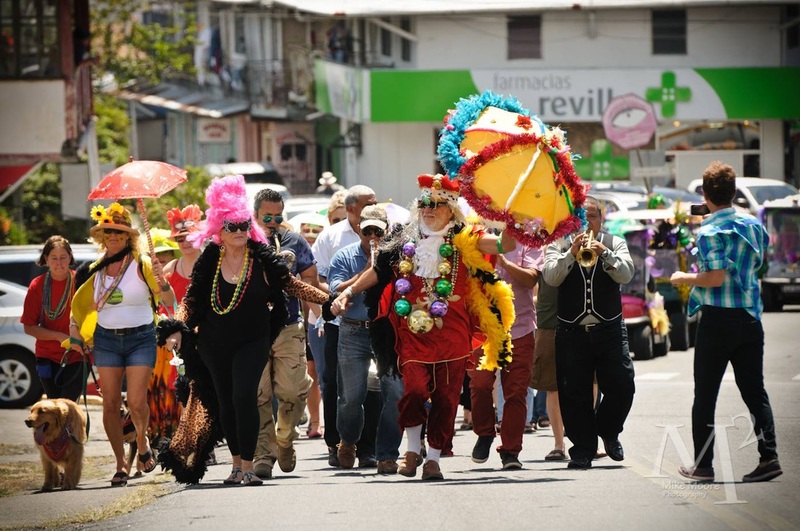 The traditional New Orleans style parade on the opening day of the Boquete Jazz and Blues festival on Thursday, Feb 13, 2014. Photo by Michael Moore. For all those unlucky ones who were not able to attend this fabulous festival as well as for you guys who were lucky enough to be here and want to relive the experience here are some links to photo galleries created by our master photographers who covered the event. Low resolution with watermark are free to download to the public. High resolution with no watermark to the musicians are free. High resolution with no watermark may be purchased directly from the photographer. High resolution digital photos are $6/each (except for the portraits to the Fedora Club...their high resolution digital images are free). Prints are available from Michael Moore, as follows: 4x6 for $6/each; 8x10 for $10/each (includes Photoshop retouch for the ladies, as requested). For any questions please contact Michael Moore at bothphoto @ gmail.com (omit spaces). Here's a little slideshow of the Panamania fundraiser on Feb 8, 2014 at the Oasis restaurant. Click here to see or download the photos.